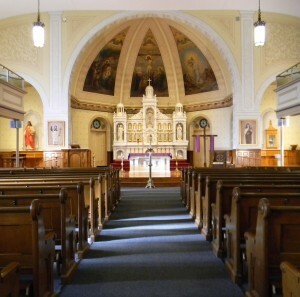 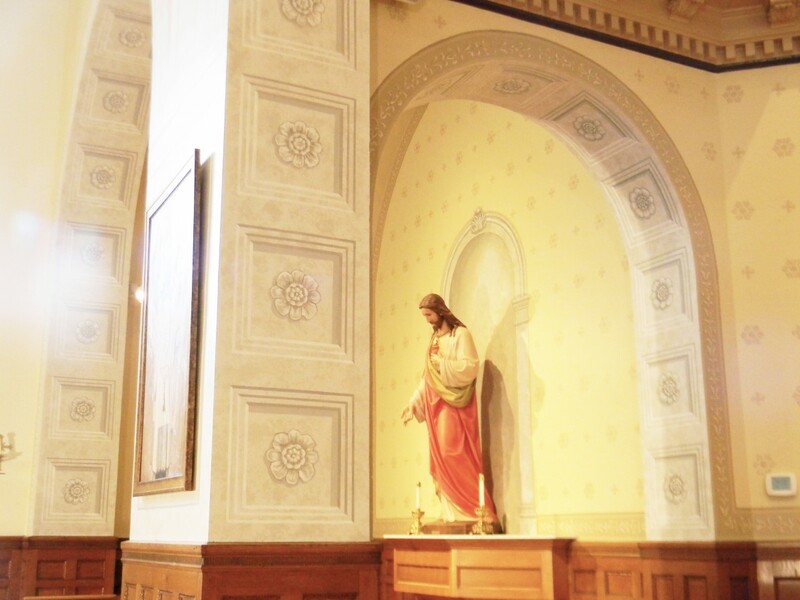 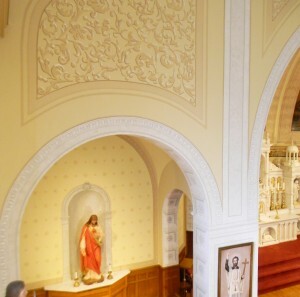 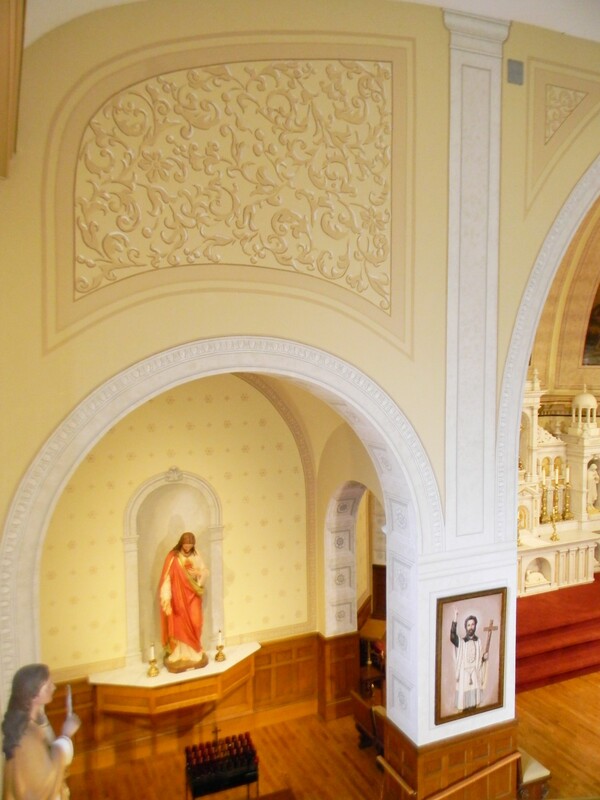 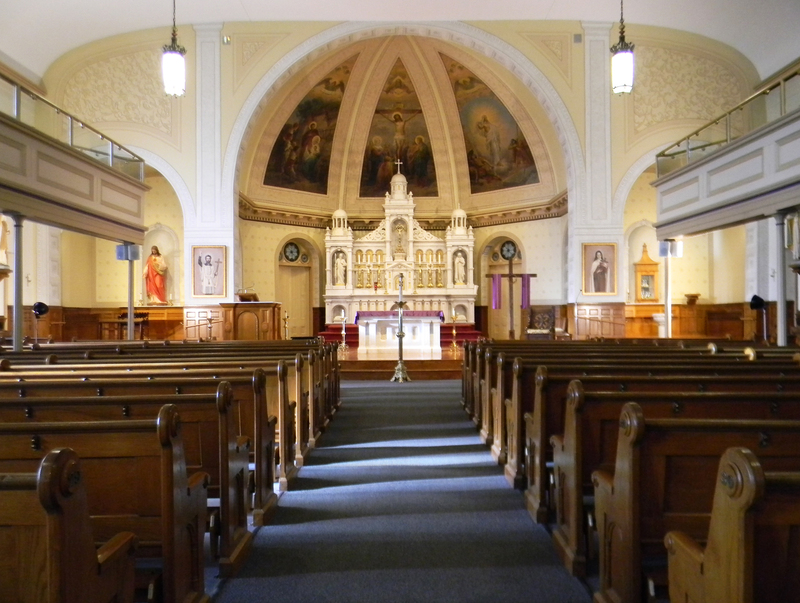 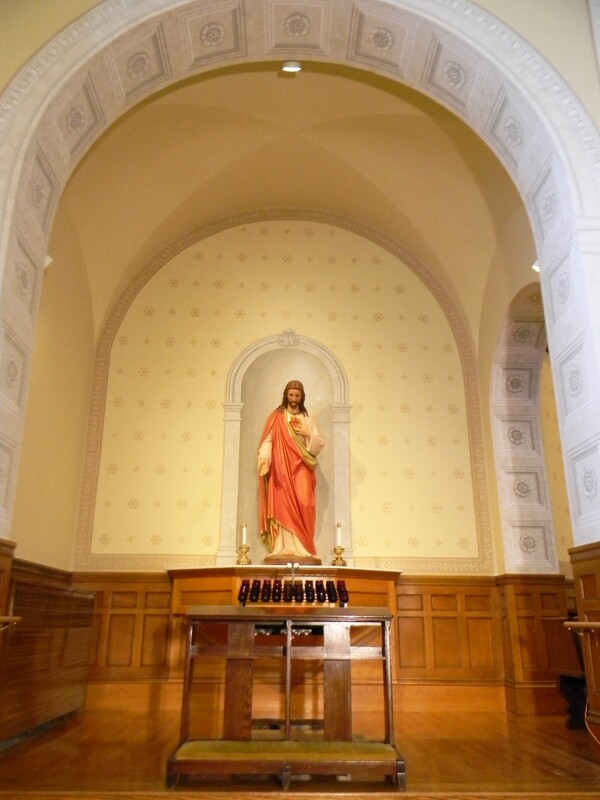 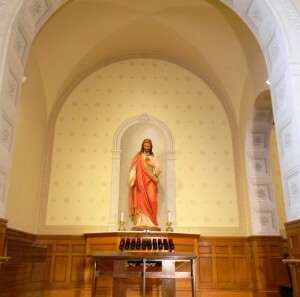 The sanctuary, the side niches, and the entire front wall facing the nave were completely restored. 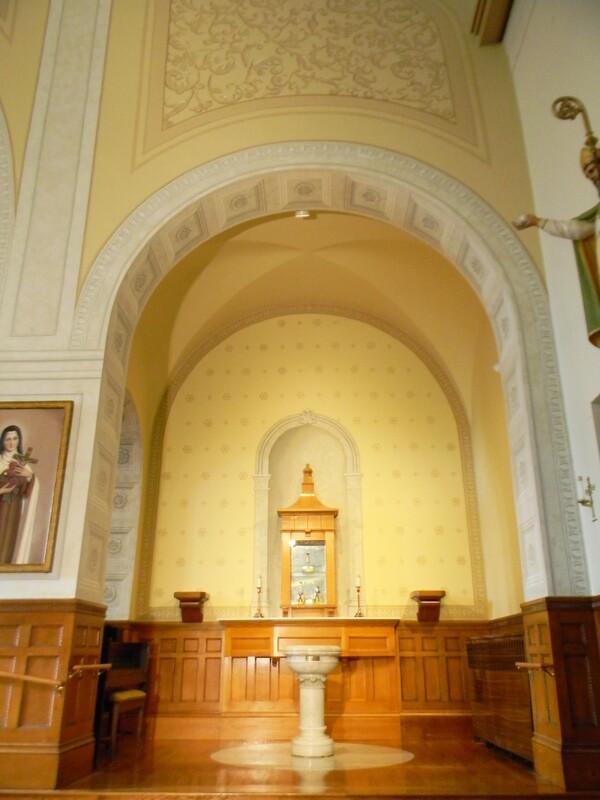 A faded photo from 1911 of the front of the church and an existing carving of an acanthus flower on the pulpit inspired the overall design. 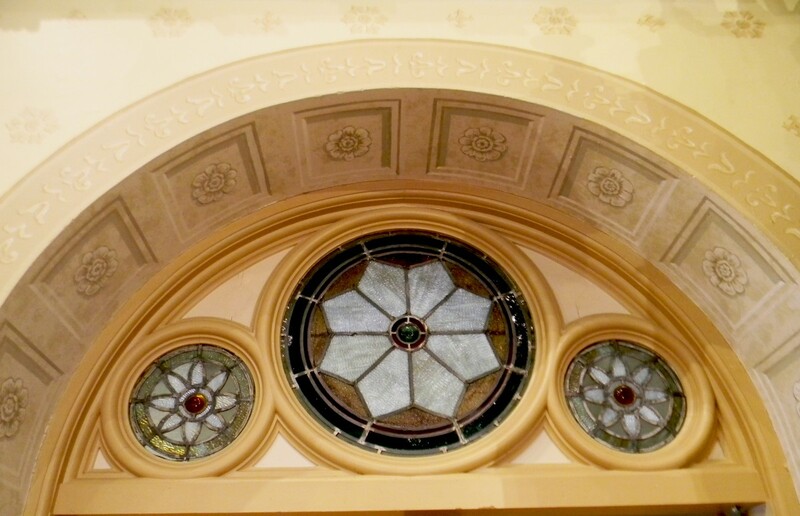 Each aspect of the restoration was customized so that all elements would be completely harmonized. 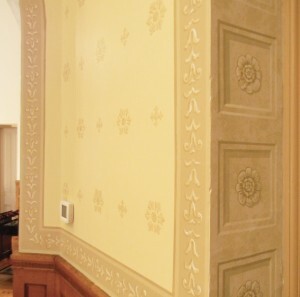 A trompe l’oeil architectural design, including two vertical columns and an “egg and dart” plaster molding, was applied to the front wall. 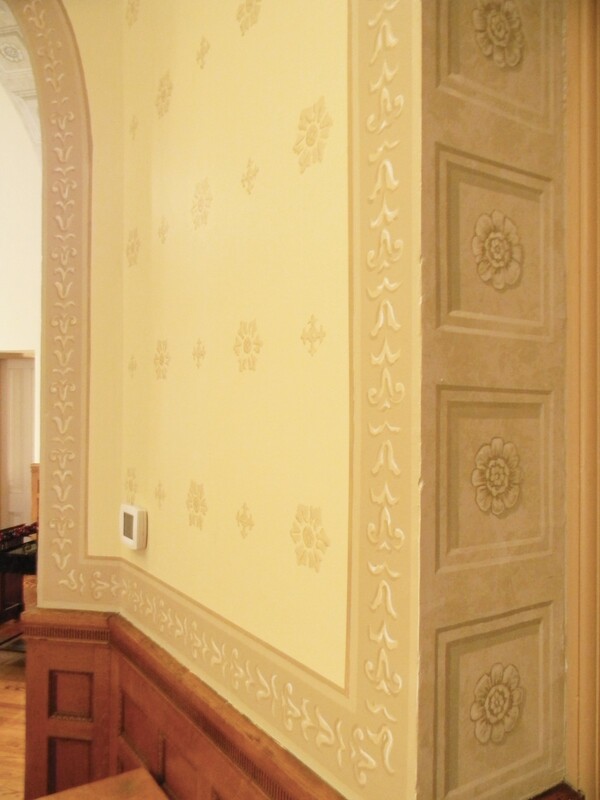 An acanthus leaf design was created to fill the negative spaces made by the columns and arches. 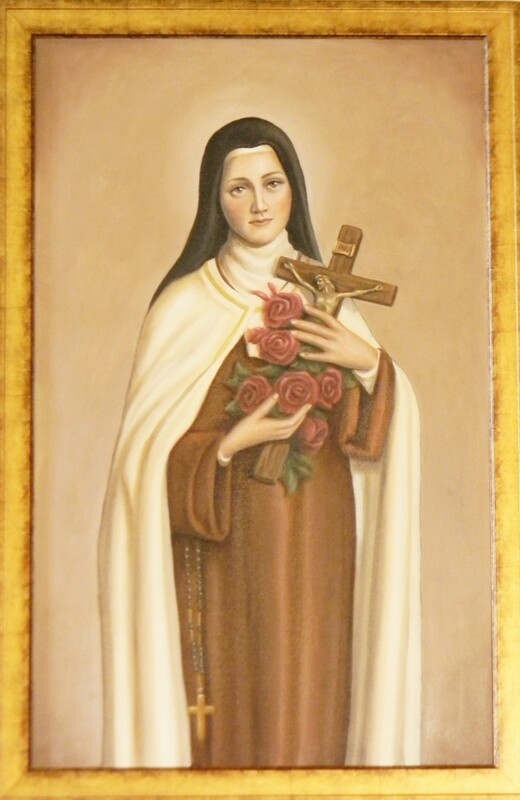 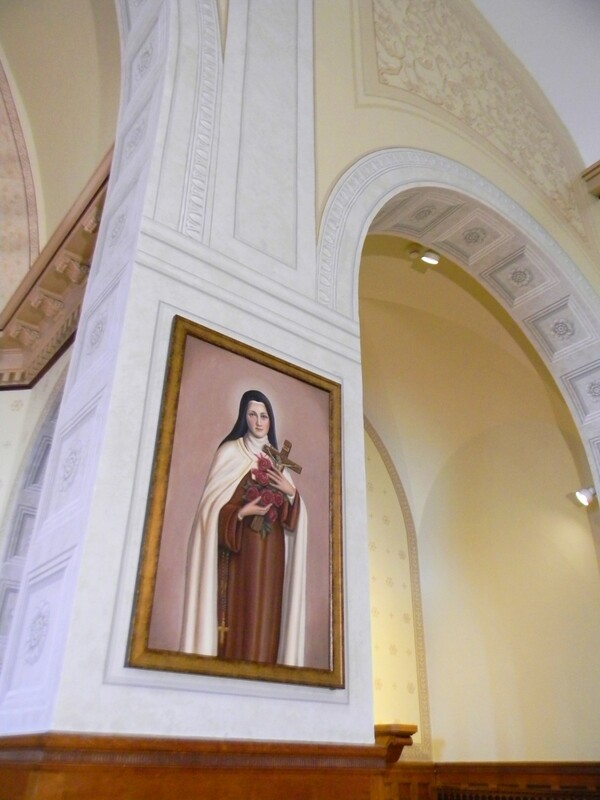 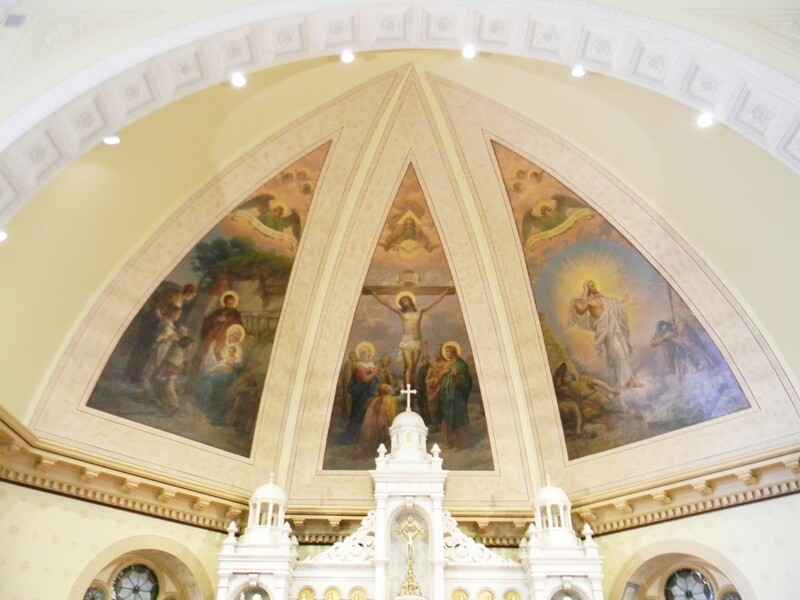 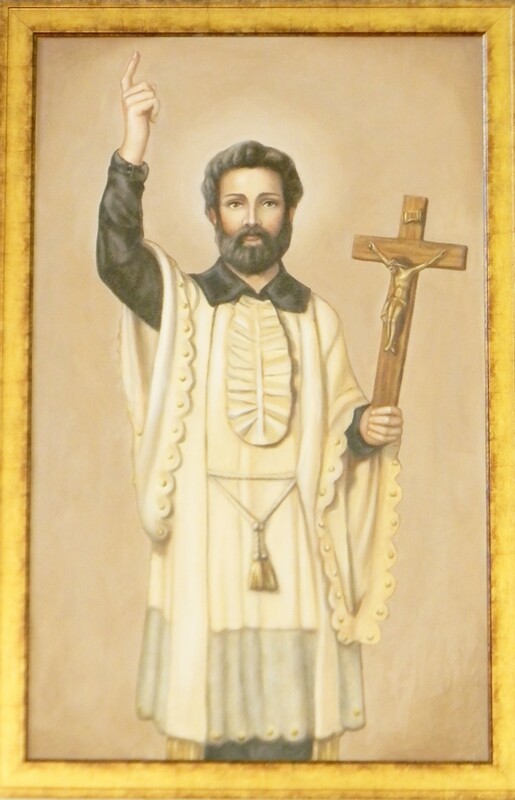 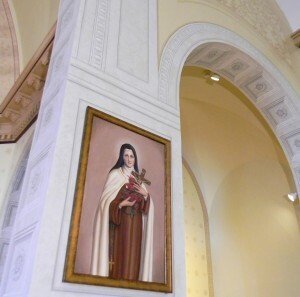 Oil portraits of St. Teresa and St. Xavier were painted and hung at the base of each column. 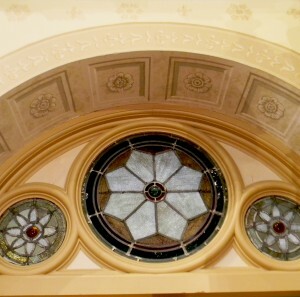 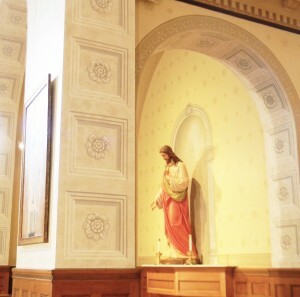 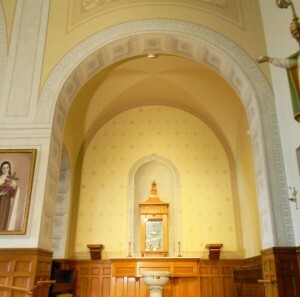 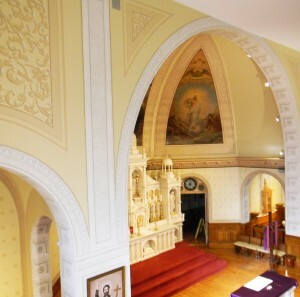 The walls of the sanctuary and the side niches were stenciled with an acanthus flower pattern and a border design was painted along their perimeters. 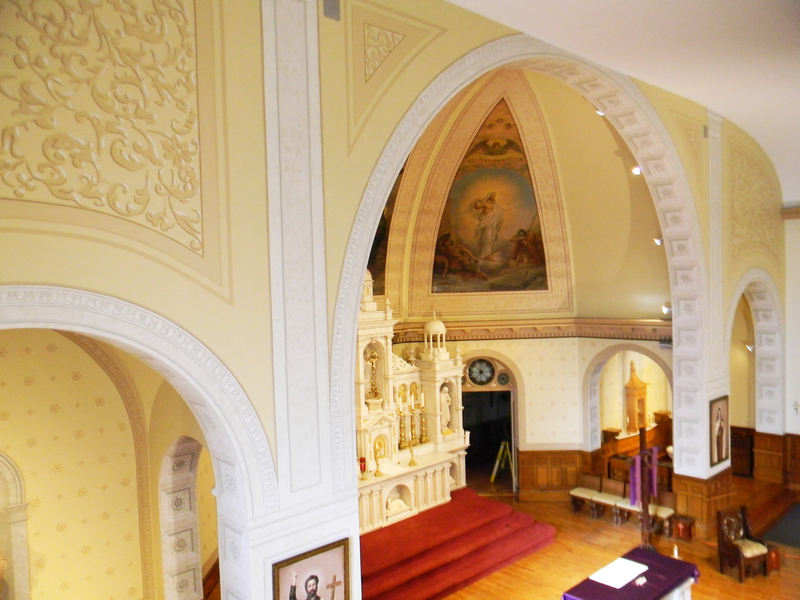 The width of each of the seven arches was painted with a trompe l’oeil coffered acanthus flower motif. 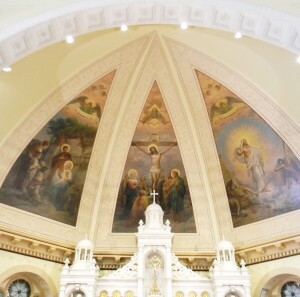 The triptych in the sanctuary was cleaned and restored after the sanctuary suffered extensive damage from a partial collapse of the roof, covering the mural with a heavy layer of soot. 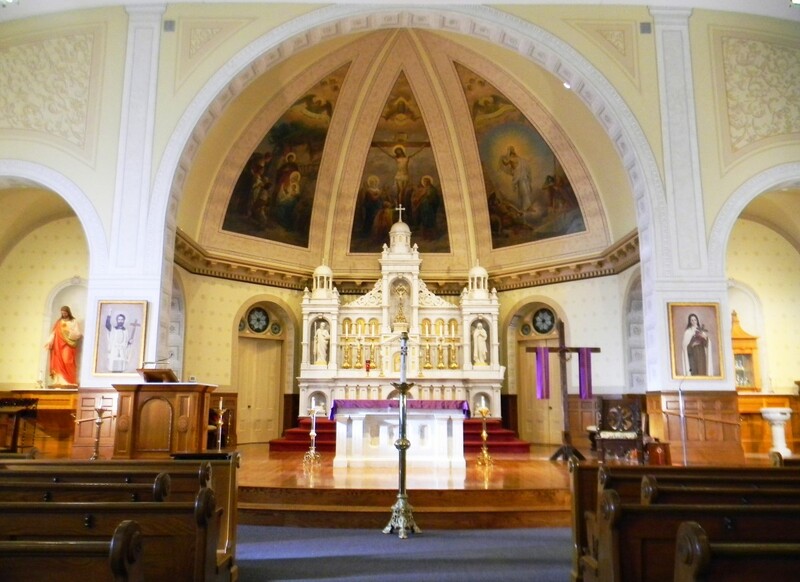 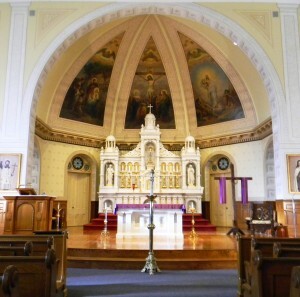 Click to see the church before the restoration.